FC Shakhtar visited Boca Raton Football Club at the club’s headquarters earlier this week as the two clubs agreed to a friendly that will be played in Boca Raton on January 25. Marketing Director Yuri Sviridov, and Executive Director Joe Palmer from FC Shakhtar confirmed the friendly with Boca Raton FC and club president Douglas Heizer. Founded in 1936, FC Shakhtar plays in the Ukranian Premier League, which is the highest level of soccer in the country. FC Shakhtar has appeared in several major European competitions and is often a participant in the UEFA Champions League. In 2009, the club became the first club in independent Ukraine to win the UEFA Cup. The second most popular club in Ukraine, FC Shakhtar boasts a number of great international talents such as Croatian National Team captain Darijo Srna, Brazilian Nationals, Wellington, Fred, Alex Texeira, and Bernard. FC Shakhtar finished their 2014-15 season in second place and are currently in the Round of 32 in the Europa League where they will face Schalke 04 on February 18. 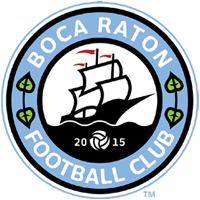 FC Shakhtar is currently playing the 2016 Florida Cup and will play both of their game in Orlando, making the friendly versus Boca Raton FC on January 25 their only game in South Florida during their 2016 Global Tour. Location and time for the game are still being discussed; stay tuned to bocaratonfc.com for updates.